The partial or complete renovation of your bathroom(s), to provide you with all the comfort and convenience you desire, is also part of our daily work. If you choose to have your bathroom renovated and reinstallated, the old existing bathroom will first have to be demolished so that the new bathroom can be built. 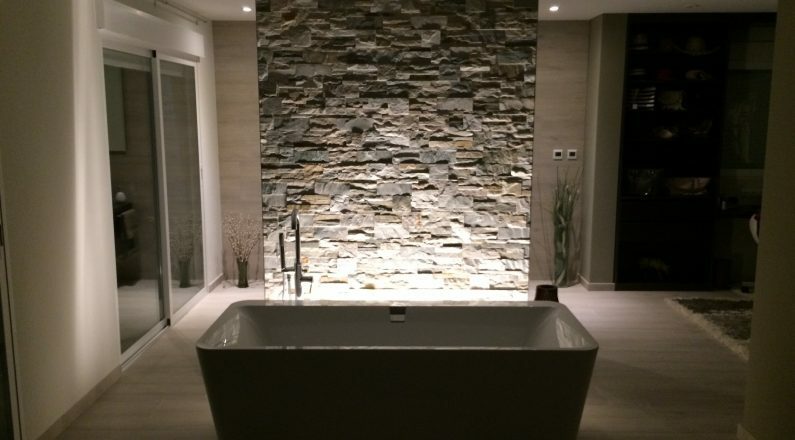 More and more people are choosing to have a walk-in shower and (separate) bath. When placing a shower or bath it is important that the water pipes and the drains are installed in the right place. We will show you a step-by-step plan explaining the easiest work order for both placement and installation. This step-by-step plan is carefully monitored and coordinated by our team and will be professionally installed with the utmost care. Contact us for a free estimate for your bathrooms.